SUPERVALU HAS RETAINED top spot as Ireland’s most popular supermarket, but has Tesco breathing down its neck in second place, according to the latest grocery market share figures from Kantar Worldpanel. 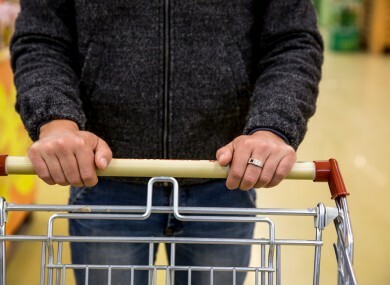 Dunnes Stores rounds out the top three, as the level of overall sales in the supermarkets rose by 4.2% compared to the same period last year covering the 12 weeks to 18 June. All the major retailers, including Aldi and Lidl increased a growth in sales over this period. Kantar put it down, in part, to Easter falling a little later than usual this year. Tesco had begun to lag behind, but retakes second place from Dunnes Stores. In a previous survey to the end of January this year, Dunnes Stores managed to reach the top spot for only the second time. Consumer insights director Cora Campbell said: “SuperValu can’t remain complacent. Second place retailer Tesco is growing ahead of the market, at 3.8%, and has closed the gap in share between itself and SuperValu to just 0.2 percentage points. With the battle for the top spot hotly contested over recent years and only 0.7 percentage points separating the top three retailers, there can’t be any guarantees that you’ll stay in position. Email “Despite a Tesco surge, Supervalu is still Ireland's most popular supermarket... just”. Feedback on “Despite a Tesco surge, Supervalu is still Ireland's most popular supermarket... just”.